Washington : US researchers said that they have identified antibodies which specifically protect against Zika virus infection in mice, an important step toward developing a vaccine, better diagnostic tests and possibly new antibody-based therapies. 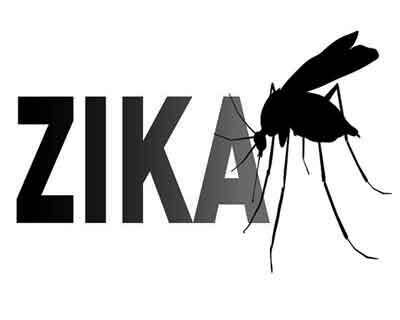 Researchers at the Washington University School of Medicine in St Louis made the achievement by infecting mice with Zika virus, which allowed the animals’ immune systems to produce anti-Zika antibodies, Xinhua news agency reported. Six antibodies were found, and from these, four were able to effectively prevent or treat Zika infection in cells and in mice, they reported in the US journal Cell. “Importantly, some of our antibodies are able to neutralise African, Asian and American strains of Zika virus to about the same degree,” Daved Fremont, a professor of pathology and immunology and a co-senior author on the paper, said in a statement. The study also showed that the antibodies bound exclusively to Zika and not to related viruses, which means they are specific enough to be used in diagnostic tests. Then, they used a technique called X-ray crystallography to zero in on the binding site and found the two most protective antibodies bound to the same region of a particular Zika protein, the envelope protein that covers the surface of the virus. “This is the first step toward optimising current vaccine strategies and potentially developing antibody-based therapeutics as well as augmenting efforts for generating diagnostics that would specifically differentiate Zika viruses from other related flavi viruses,” said infectious disease researcher Michael Diamond, the other co-author on the paper. The researchers noted that the key question of whether Zika neutralising antibodies could protect pregnant women and their developing foetuses remains to be answered. Due to significant differences in gestational features between mice and humans, antibody protection studies may require experiments in other mammals, such as non-human primates, that allow for optimal transfer of antibodies from the mother to the foetus, as occurs in humans, they said. Currently, there are no specific treatments for Zika virus infection, and women who become infected while pregnant are at risk of having babies with severe congenital abnormalities.